Map of Latin America in the New World. 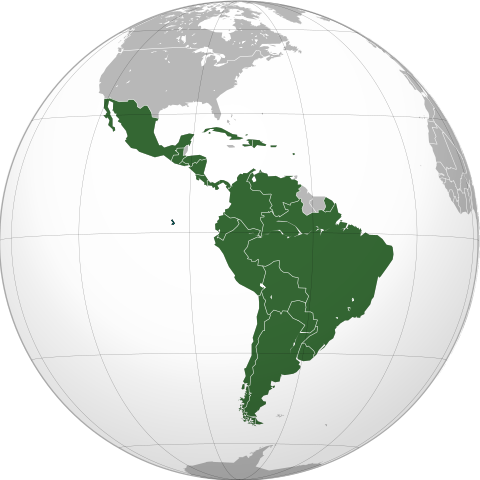 English: Latin America (orthographic projection). In grey Canada, USA, Belize, Guyana, Suriname, Trinidad and Tobago, Jamaica, the Bahamas, the Falklands.